For oilsands thermal simulation models, the bitumen-bearing formation’s water permeability is a valuable piece of information. The cold water injectivity test is an effective technique for obtaining in-situ permeability data beyond the near-wellbore region. The test involves injecting cold formation-compatible water into the oilsands payzone at very low constant-rates. Following the injection, the well is shut-in to allow for a natural pressure decline. This type of tests can help obtain a reliable description of the reservoir water permeability, the initial reservoir pressure and the reservoir’s heterogeneities (layering, fractures, etc.) When multiple wells and/or multiple test intervals are used, a series of test can be designed to detect vertical and/or horizontal communication. Our deliverable includes a comprehensive report with detailed analyses and geomechanical review. 24-hr crews are available for extended injection/falloff. Real-time radial flow confirmation and data quality control is performed before concluding a test, to ensure useful data is obtained. Test results are reviewed by an industry reservoir simulation expert. Steady and low-rate injection of test fluid is critical to the success of this type of tests It is achieved using our unique, low-rate DCS-controlled injection units. To ensure the accuracy and quality of data obtained, multiple points of high-precision measurements are taken at the wellhead and downhole with backups. 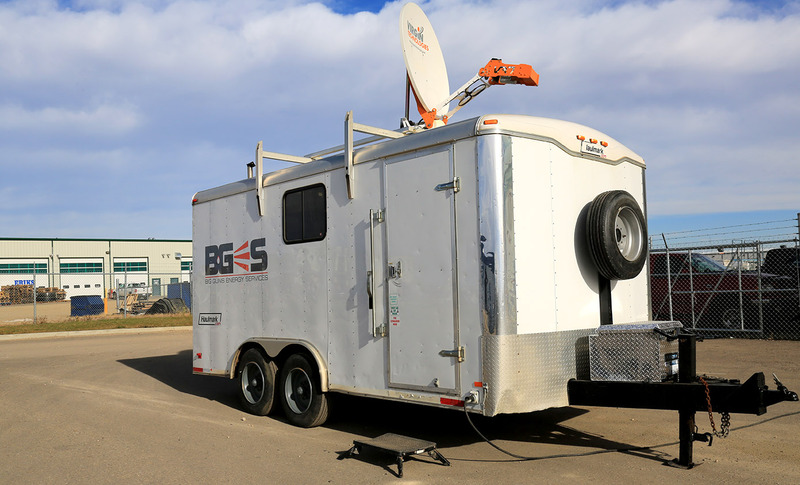 In low permeability formations, BGES is equipped with downhole shut-in mechanisms that can prevent the adverse impact of the water column inside the wellbore on the late-time data quality.